Spinach is a superfood that is loaded with nutrients. This iron-rich green leafy vegetable is a great source of vitamins and minerals. Spinach is used in cooking curries, dals, fritters and a huge variety of Indian food. It takes about four to six weeks from seeding to harvest making them a very easy-growing plant. Spinach is a cool-weather crop that does not grow well in summer. We have a veggie patch full of spinach and we get a big bag full of spinach every week. So we freeze some for the summer and early autumn months. Fresh spinach can be cleaned, blanched and frozen for up to six months. They work just as well as fresh spinach do. 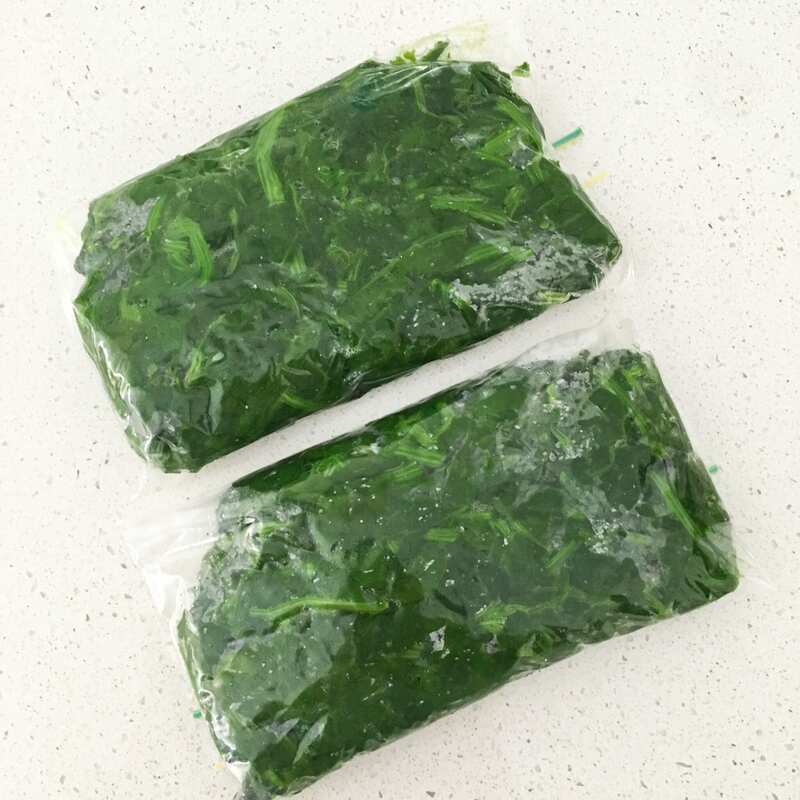 So it is a great idea to blanch and freeze spinach during the harvesting season or when they are available in abundance in the market. Follow these simple steps to freeze spinach when they are in season and use them as needed.